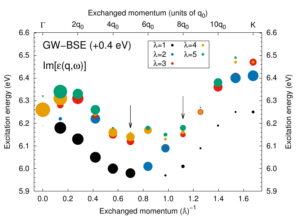 Our new paper on exciton interference in hexagonal boron nitride is online. In this paper we show that the excitonic peak at finite momentum is formed by the superposition of two groups of transitions that we call KM and MK′ from the k-points involved in the transitions. These two groups contribute to the peak intensity with opposite signs, each damping the contributions of the other. The variations in number and amplitude of these transitions determine the changes in intensity of the peak. 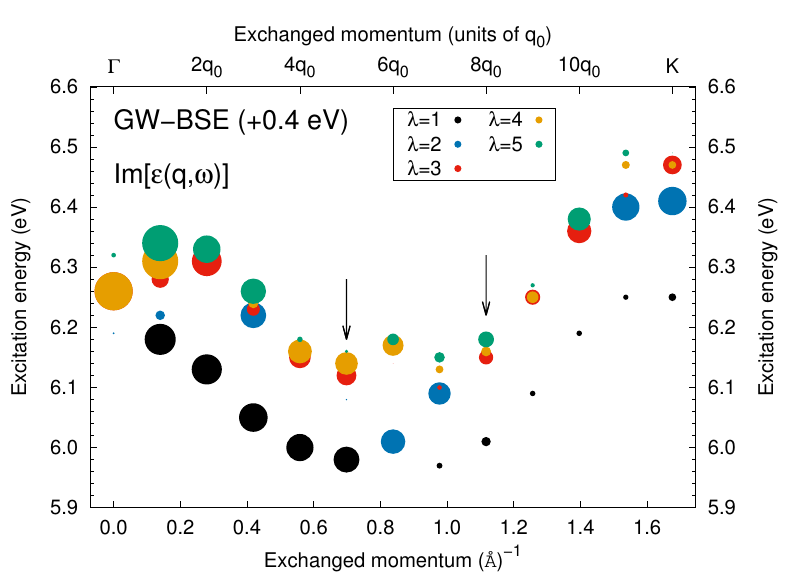 Our results unveil the non-trivial relation between valley physics and excitonic dispersion in h-BN.